Now the weather is cooling down and the nights are getting cosier I wanted to add some cosy touches to the house in order to make it a nice warm space to be in when we want to spend an evening in front of the TV with a movie or catching up on some of the latest TV shows we watch. I recently decorated my living room at the end of august and I wanted to add some extra touches, but I didn't want to do it all in one go and end up making it look too cluttered, or picking things that would be ok but I didn't love. 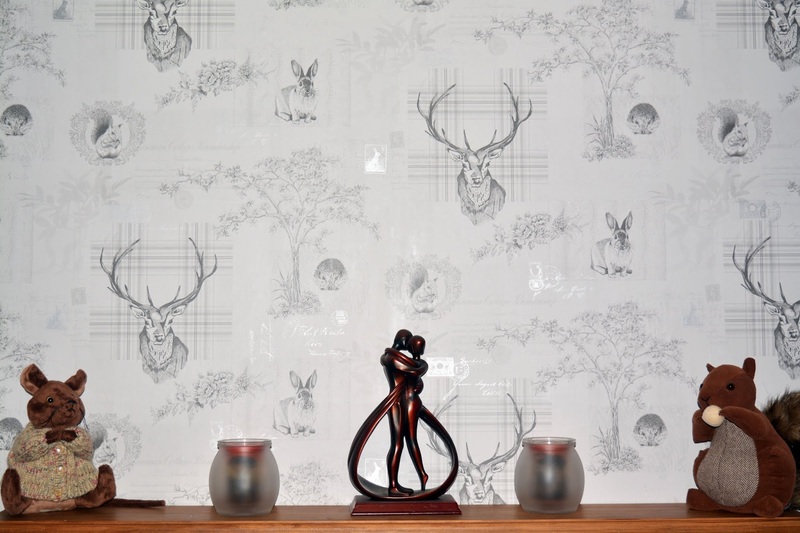 So lets have a look at the new touches that I have found and are accessorising my living room. I recently redecorated and while I know my wallpaper will be on all year I think the little woodland animals that now adorn my fireplace as so cute and really do make me thing of the autumn weather and the cute wildlife you see bustling through the leaves. I like that it is an all year round thing, but does encompass the autumnal feel that I love. I think the wooden fire place goes well and I like the outdoor, woodland feel the room has. 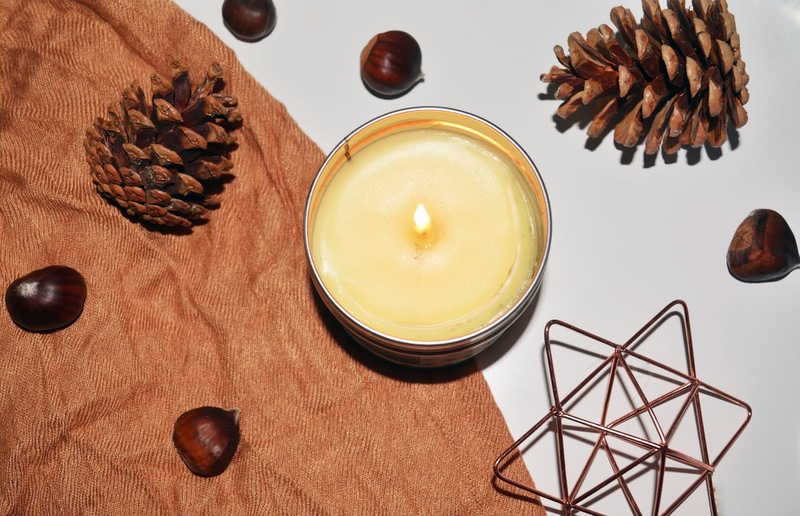 I am all about the candles this time of year, and while I wont get into the scent groups of the ones I am using this season as I have a post dedicated to that here, I want to share some of the candle accessories I have added to my home this season. 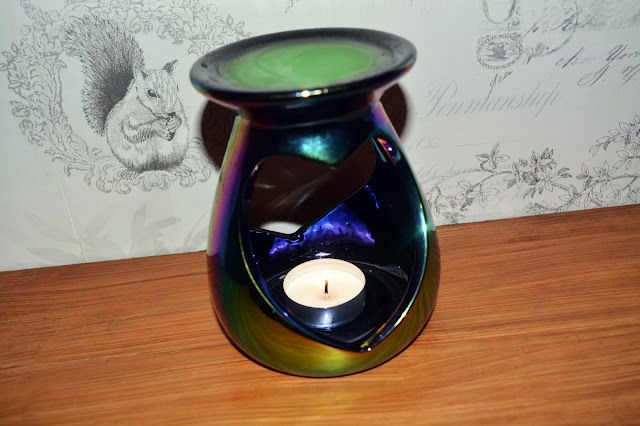 First up I have a wax melt burner, I do have an electric one but something about the little tea light in the bottom of the standard one is very cosy. My husband picked out this beautiful multi coloured, oil slick effect one and while I was going to go for plain white, I think this has much more character about it! 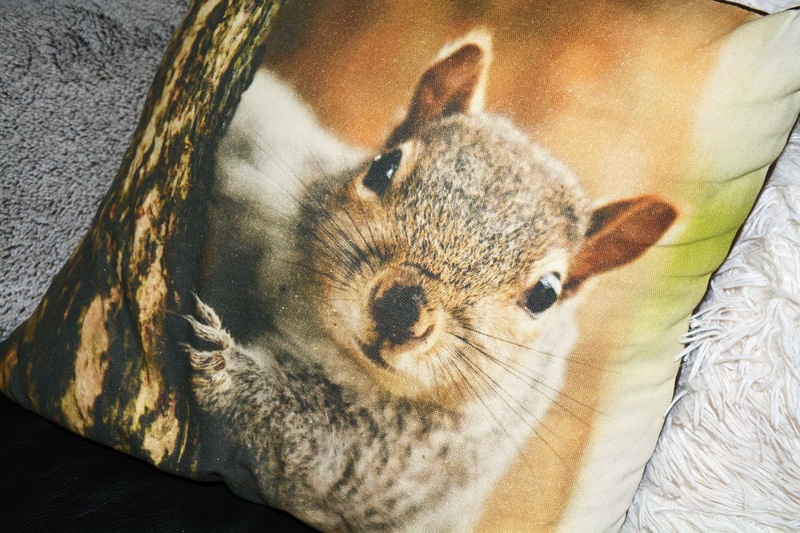 I have a few scatter cushions on my sofa which capture the woodland theme well and are autumnal in their theme, I have a really cute one with a squirrel on that I got from Asda a couple of years ago and I love the way he is peaking out from behind the tree, it reminds me of the squirrels we saw when we went to London for a long weekend. I love having cute, comfy cushions on the sofa as they make it more comfortable and just give it some character when no one is sat down. Along with the cushions on the sofa, I can often be found cuddled up under a throw, I did have red throws in my living room before I redecorated as it was themed red, whereas I have really moved towards the neutrals now. I have this fluffy, white teddy bear throw blanket which is super soft and cosy and really does keep you snug when watching the TV. I can't remember quite where it was from, but I think it might have been Dunelm a year or two ago. I love having a bit of texture on my sofa through cushions and throws as it just adds a bit more character to the room! I'd love to know more about your style inspiration for your home, or who you always go to for home inspiration as I love home decor and can always be found having a sneaky browse on Instagram and Pinterest to get some inspiration for a little mini make over!